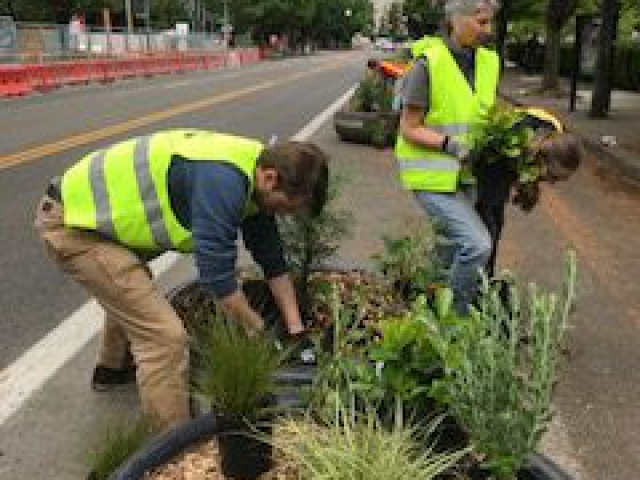 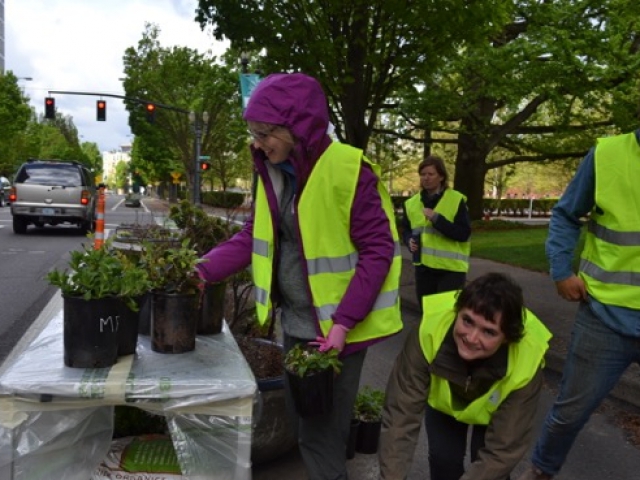 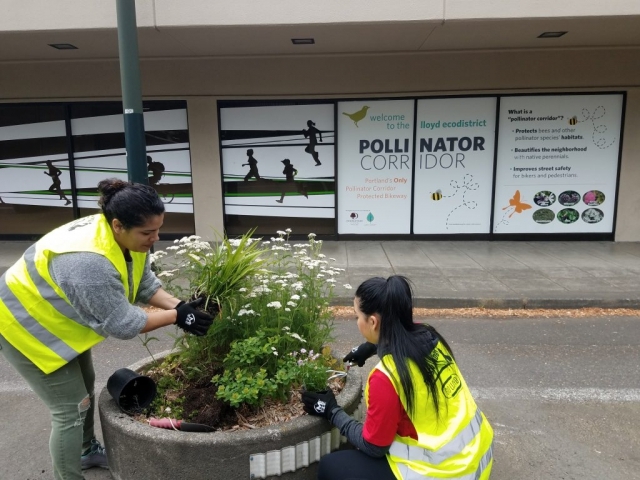 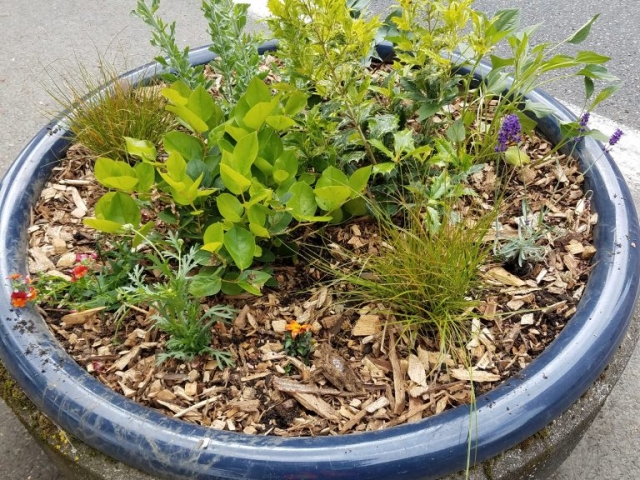 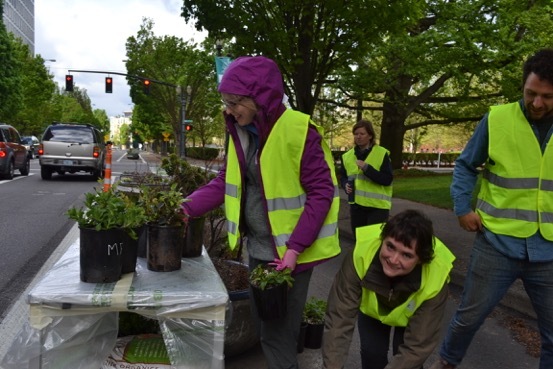 In the spring of 2016, Lloyd EcoDistrict – in partnership with Go Lloyd, City Repair, and Portland Parks and Recreation – began the first phase of a Pollinator Corridor. A pollinator corridor is a social sculpture that combines ecology, community engagement, and design. 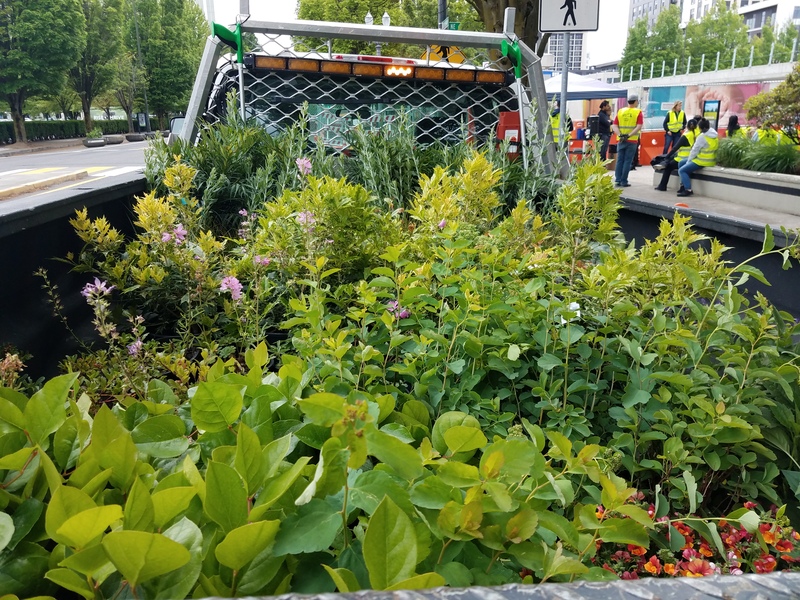 It serves to turn a pre-existing urban area – like a curbside or a rooftop – into a bustling environment for pollinator animals and bugs. As bee populations have steadily been declining, pollinator corridors in urban areas are a way to support the healthy growth of these communities. 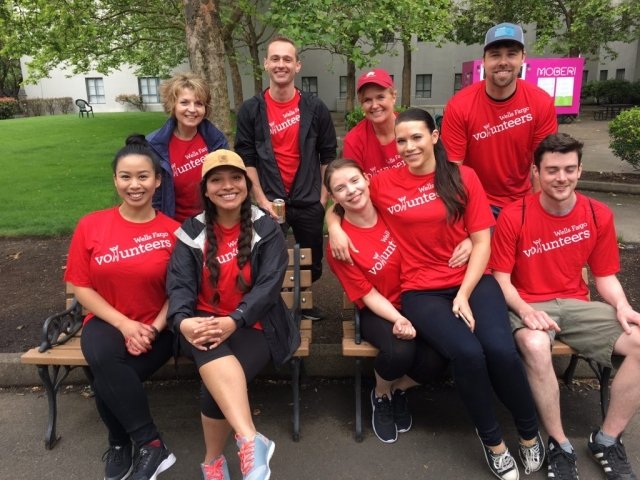 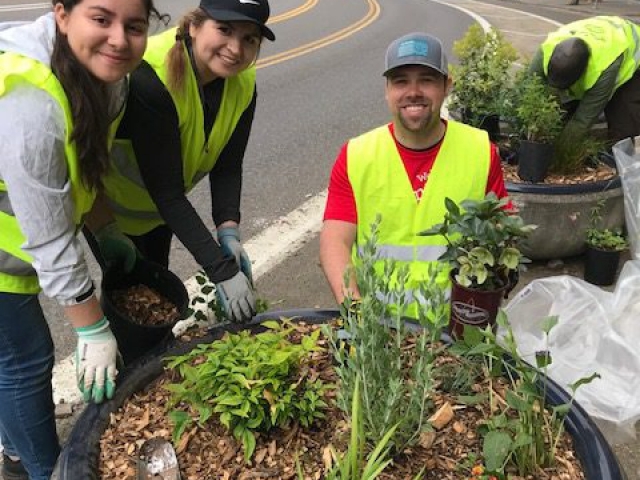 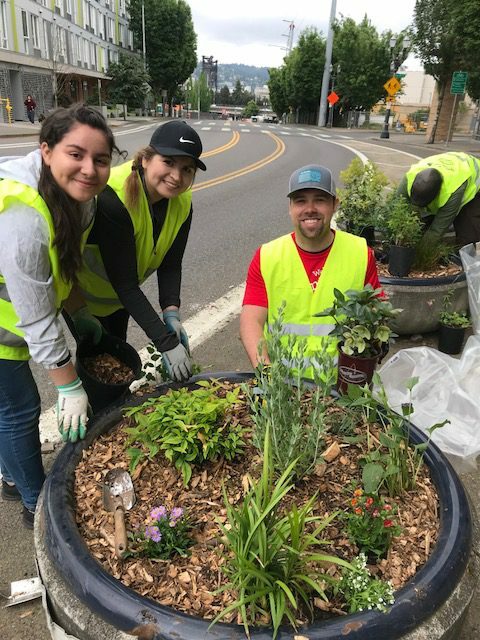 In June 2017, Lloyd EcoDistrict, City Repair, and volunteers with Wells Fargo completed the second phase of the corridor, expanding the project from NE 15th Avenue all the way down to NE 7th Avenue. 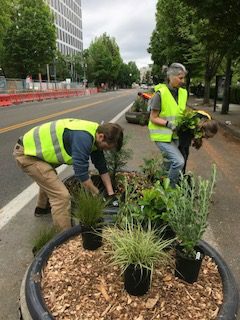 In May 2018, we completed the final stretch of the corridor from NE 7th to NE 2nd. 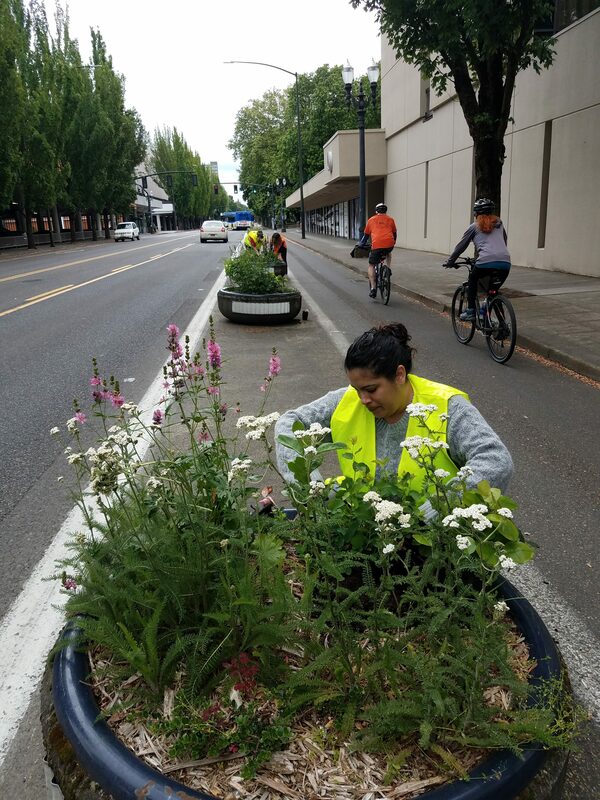 We also added some colorful annuals along the entire length of Multnomah. 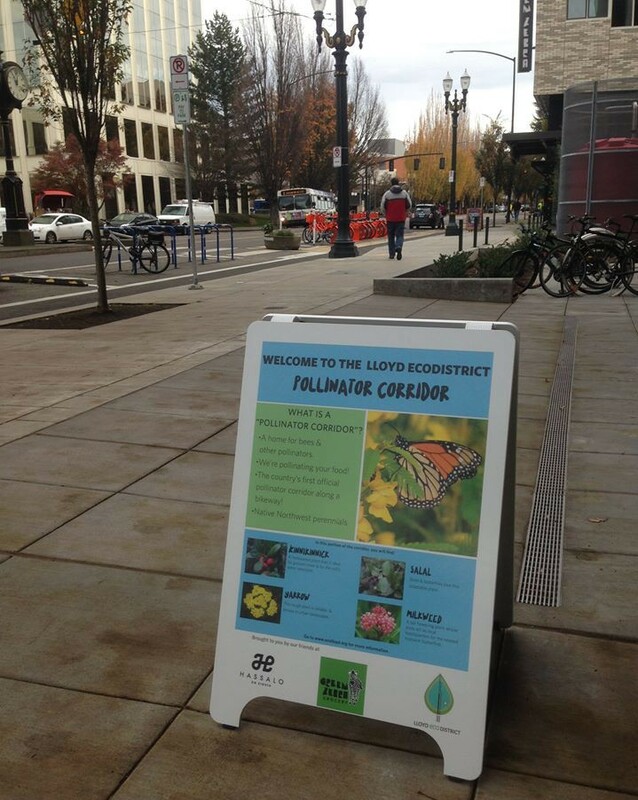 While several US cities have begun to develop pollinator corridors, this is Portland’s first. 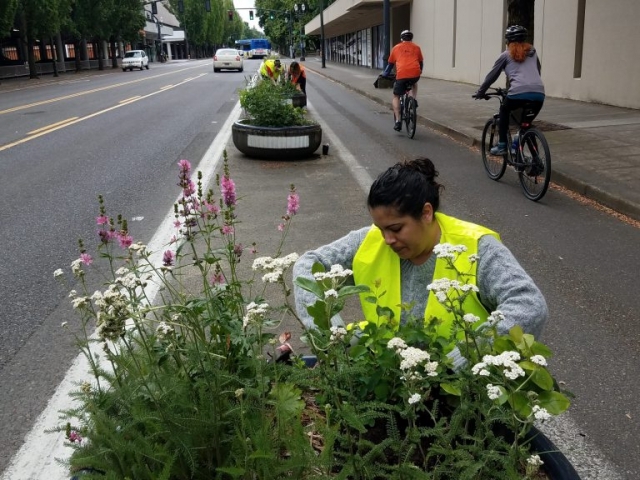 Not only that, but in planting the corridor along the NE Multnomah bikeway, we have established the country’s first official POLLINATOR BIKEWAY! 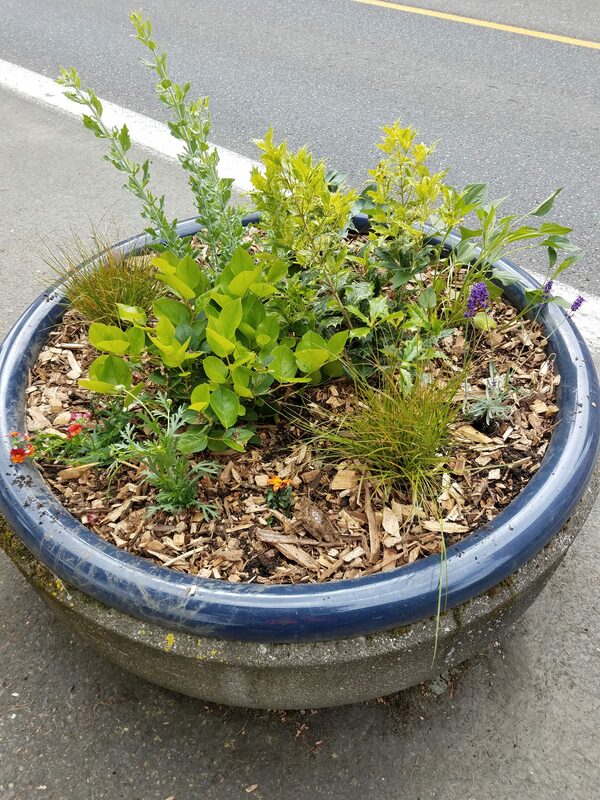 We’ve planted native perennials in the planters which, once established, will require much less watering and maintenance than annual varieties. 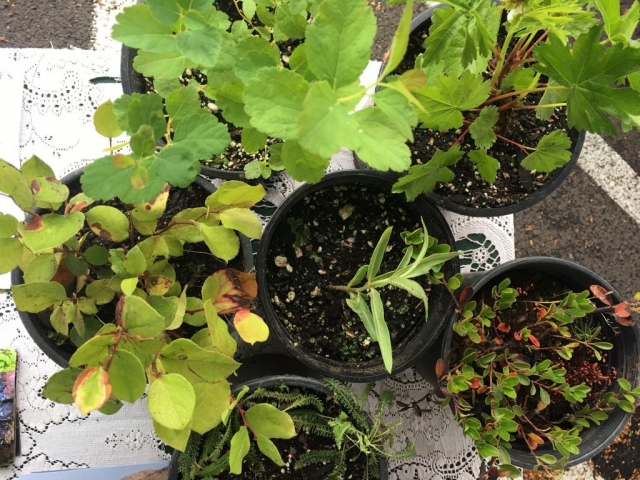 In this portion of the corridor, you will find: kinnikinnick, milkweed,salal, and yarrow. 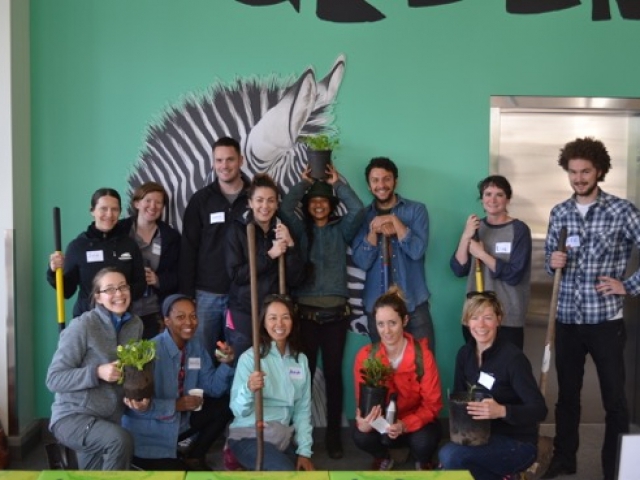 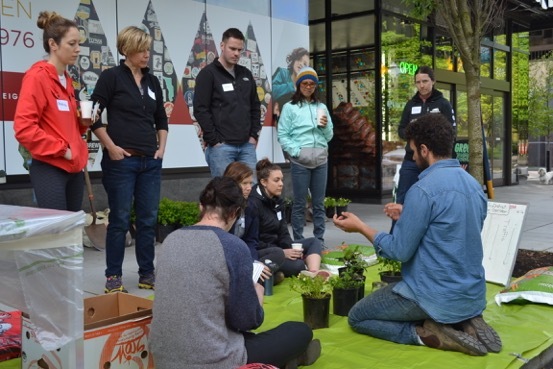 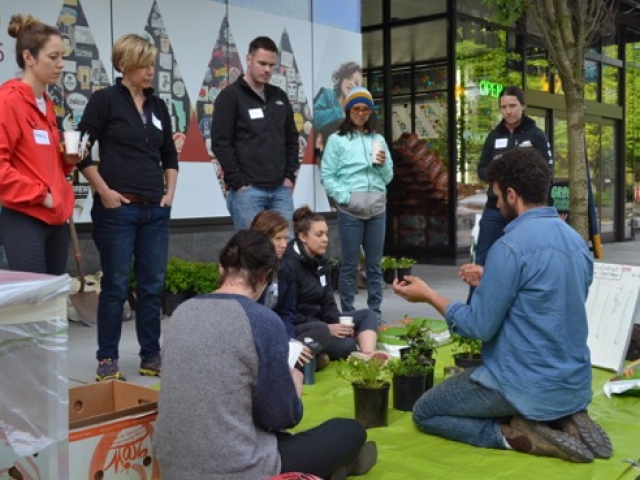 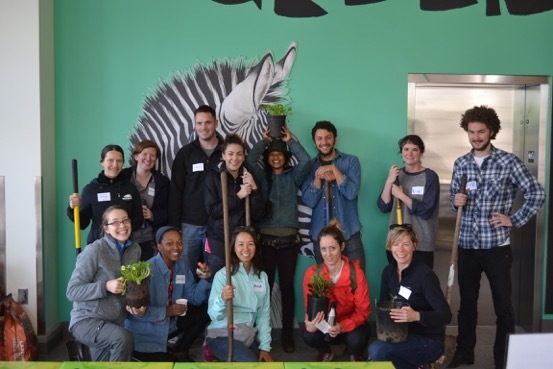 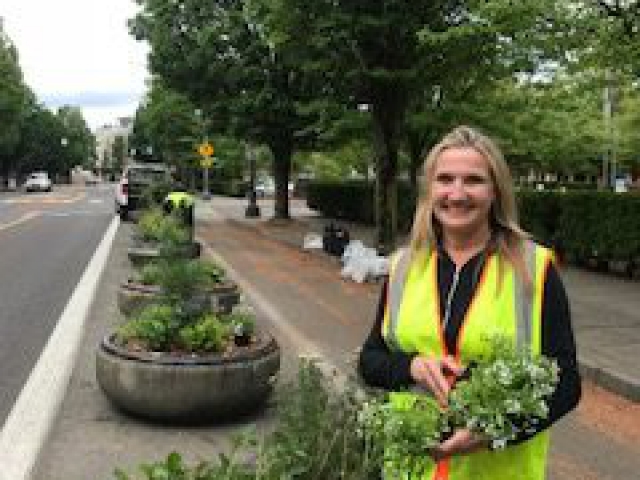 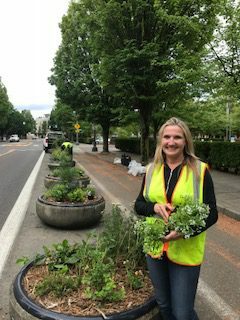 With support from Green Zebra, Hassalo on Eighth, Portland DoubleTree Hotel, and Lloyd Center Mall we are working towards a healthier urban community and ecosystem.